I have been slightly obsessed with one scent all summer and that scent is Bleu Paradis by Terry De Gunzburg*. You probably think you dont know who Terry De Gunzberg is... but you do. She is the mastermind behind the By Terry makeup line (and was the Creative Director of YSL when they created Touche Eclat). If you have every played with any of the By Terry products you will know that they smell AMAZING. 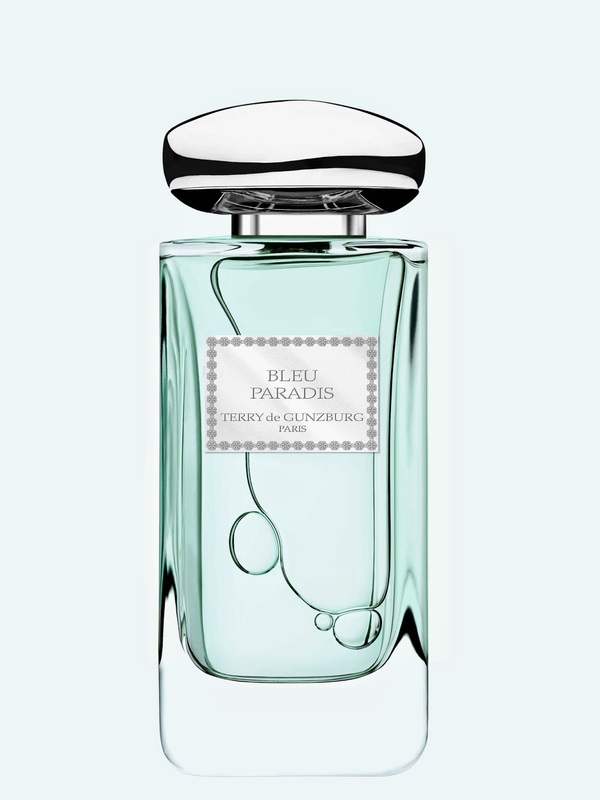 I didn't know that Terry (we are on first name terms in my head - mostly because I know I will mispronounce de Gunzburg) made perfumes and I was delighted to discover Bleu Paradis which has been my perfect summer scent. Firstly the perfume bottle looks very classic - all her perfumes are housed in the same bottles - the lid is sturdy and I like to sit on my couch sniffing the lid because I love the fragrance so much. Blue Paradis (even the name makes me want to float away) has been MY summer fragrance replacing my usual summer favorite Bronze Goddess - Blue Paradis is a more sophisticated fragrance. Top notes of Bleu Paradis are Litchi followed by middle notes of Rose which finally settles down to the rich scents of Cedar, Amber and Musk. Its such an interesting scent because its light, but not too light. The fragrance lasts through the day without being over powering at all. Its middle notes are Rose but its not too floral and its base notes are Cedar, Amber and Musk but its not too strong or heady. Its light like the bottle and name implies. Its a soft and fresh scent. (100ml Spray £105.00/€125.00) they are definitely a luxury purchase. The range is available from selected department stores and Space NK which we happen to have on Grafton Street. What fragrance has been rocking your world this Summer? I must give this a sniff - sounds delightful! I love the By Terry bottles too. The bottle is gorgeous! Love the idea of a perfume with musk and cedar being light, sounds gorgeous.